Did the Vikings produce wine? The discovery of carbonised grape pips in Denmark has raised the possibility that the Dark Age Danes were winemakers. 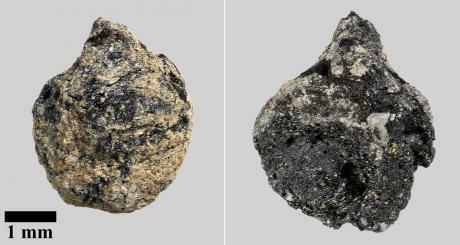 Two charred grape pips (pictured) were discovered at two royal palace sites around Lake Tissø on Zealand during the course of excavations in 2012-2013. Both pips date from different eras, the first from the Late Germanic Iron Age palace of Bulbrogård dates to around 500AD and the second was found at the royal palace of Fugledegård, which was occupied at the height of the Viking Age from 780-980AD. They are the oldest grape seeds to be discovered in Denmark. On the other hand, the team also noted that the results were also close to other areas such as Northern Europe, Britain and Northern Italy. The vineyards of Prosecco for example have a strontium isotopic range of 87Sr/86Sr between 0.70706 and 0.71215, identical to Western Zealand. As charring leads to pips and seeds losing a substantial part of their size and other identifying features, it is not possible to determine exactly whether the pips come from either a wild vine (Vitis vinifera sylvestris) or a cultivated vine (Vitis vinifera vinifera). Furthermore, grape seeds have been found in the Crimea that seem to be a hybrid of both wild and cultivated grapes and the team notes that pips excavated in Sweden and the two found at Tissø bear a strong resemblance to these examples though, again, it is impossible at this time to say for sure if it might be the case. 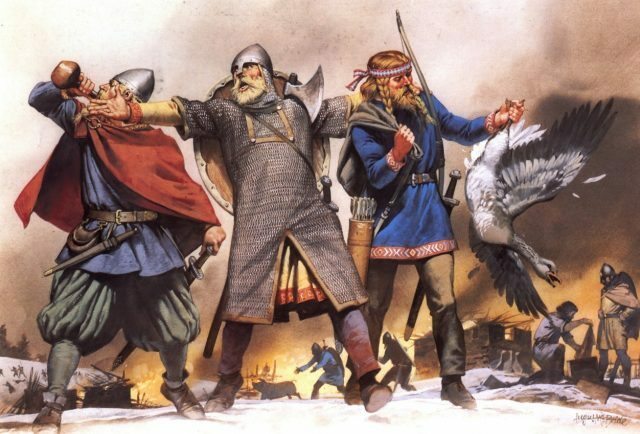 It is possible, however, that there could be a connection, considering the Viking influence over what is now the Ukraine, Belarus and parts of Russia from the 9th to 11th centuries which created extensive trade networks for the Vikings in the area and extended their reach to the Black Sea and Constantinople. The team admit in their report that, “we do not know what the Tissø grapes…were used for,” but hypothesise that if one accepts that the grapes the pips came from were grown in Denmark, then an intriguing possibility emerges that not only were early Danes growing grapes to eat as fruit and use as a status symbol but, potentially, they were practicing winemaking themselves. To begin with, the dating of the second, Viking Age pip puts it very possibly in the so-called ‘Medieval Warm Period’ of 800-1200AD, when the climate was similar to now and the cultivation of grapes so far north might be possible. It is also known that in the Middle Ages proper, there were vineyards in Denmark such as that at the Cistercian monastery of Sorø just 25km southeast of Tissø attested in a letter by Pope Gregory IX. Prior to the discovery of the two pips at Tissø, the oldest known archaeobotanical evidence of grape seeds in Denmark come from a medieval vineyard cultivated near Copenhagen, while physical evidence for grapes in this part of northern Europe before the Middle Ages come from a pip found at Hedeby in Northern Schleswig, as well as seeds found in the grave of a Viking Age person on Gotland in Sweden (the possible ‘hybrid’ mentioned above). If the evidence for winemaking is sparse, evidence of wine drinking and wine trade in Dark Age Scandinavia is potentially much stronger. Drinking is right at the heart of the popular image of the Vikings, who are seen as fierce warriors with a natural inclination for mead and beer as well as, of course, indulging in wine plundered from abbeys and palaces in the Christian lands they raided in a brutal booze cruise. And there is an element of truth to this. The Dark Age Scandinavians brewed beer and mead to a considerable degree but archaeological excavations have also uncovered numerous wine-related objects in the region dating as far back as Roman times. Although chemical analyses of these finds show trace elements of wine, it is of course possible that they were second-hand objects used for one thing in Roman Europe and then for a completely different purpose when traded to the Germanic north. If the physical evidence can be questioned however, there are plenty of written sources, which attest to a taste for wine among the Vikings. This is entirely unsurprising. The lands of western Europe routinely attacked by the Vikings were either wine producing themselves (the Frankish and Byzantine empires, Spain and Italy) or were long-inculcated in a Romano-Christian tradition of wine drinking (England). Archbishop Aelfheah of Canterbury for example was beaten to death in 1012 by Danes drunk on French wine they’d plundered in London. Norsemen routinely demanded wine as part of the extortionate tributes they exacted from Frankish rulers in return for leaving in peace, while Harald Halfdannson sailed down the Rhine in 826AD and was given large gifts of Rhenish wine and even vineyards by Louis the Pious (the son of Charlemagne). In 864AD, Rodulf the Dane told Lothair II that in addition to gold his tribute should include large amounts of wine, beer, flour and cattle and in 885 another Dane, named Godfried, is described in the Annals of Fulda as telling the emperor Charles the Fat that the best way of keeping him loyal would the gift of wine producing lands in Koblenz, Andernach and Sinzig. What’s more, it seems he got what he wanted. There is a long established pattern of non-wine producing or consuming communities coming into contact with viticultural ones and quickly taking up the practice with great enthusiasm. With this in mind, it is no great leap of imagination to see Viking warriors, especially the nobility, returning from raids and trying to replicate vineyards at their own homes, perhaps in the hope of supplementing the stocks they otherwise obtained through raiding and trade. 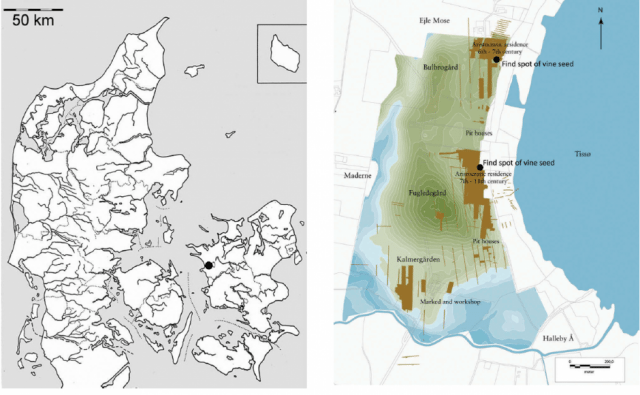 The authors of the report went on: “It is, still, commonly agreed that whatever the extent of wine for consumption within Scandinavia it probably came to the North as an imported luxury/trade good, since the nearest known vine fields are in present-day Germany. If this happened of course then the results can only be guessed at. Perhaps the limited evidence of winemaking suggests such experiments were extremely small scale or more often than not failed and any grapes were eaten fresh or made into raisins. Maybe most Vikings decided it was easier to extort wine from places in the south than make their own and as some of them, as it appeared they did, accrued vineyard land of their own in Germany and France so the need for domestic production likely wavered. At the very least, the planting of grapes might have been intended as a way of enhancing the status of high ranking individuals such as those living at Bulbrogård and Fugledegård as grapes and raisins would have been a rare luxury in Viking society. To read the full report: ‘Iron and Viking Age grapes from Denmark – vine seeds found at the royal complexes by Lake Tissø’, click here.